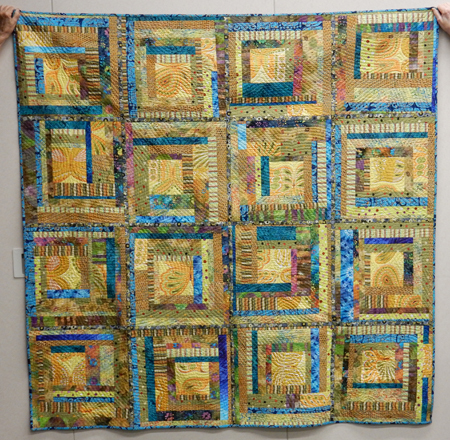 The Yellow Quilt was finished and presented to Grand Daughter Nadine for her high school graduation. The butterflies on the focal fabric, circa 1950, were must too big to use except as pieces but I appliquéd one to the back and used it as a label. 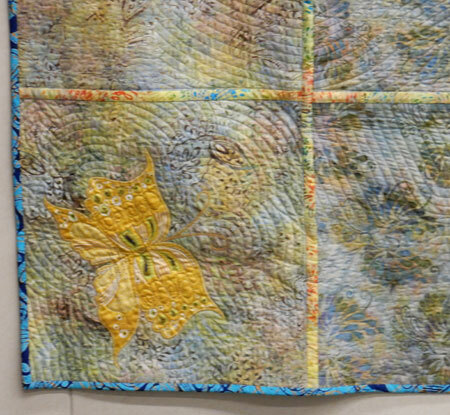 My latest challenge is to make a yellow quilt. 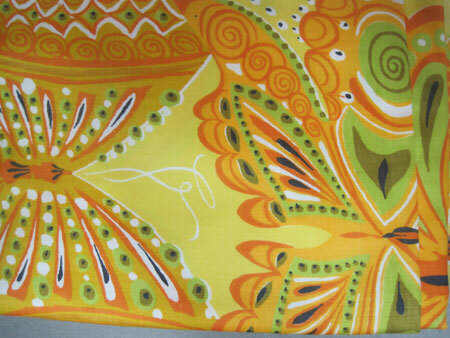 I’m not overly fond of yellow and have been dragging my heels but a day or so ago I ran across this yellow retro butterfly print in my stash and began to wonder if I could do something with it. The butterflies are huge, like – 8″ x 11″. 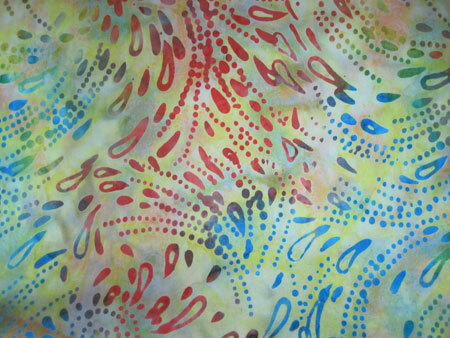 Yesterday, while at the Quilt Sampler shop in Springfield, MO I saw this batik and said to myself, “YES” and bought it. 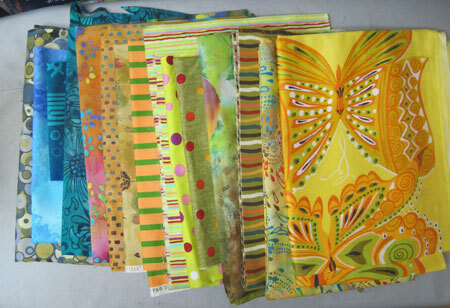 Then came home and started pulling out other fabrics. I think I can make this all work together. and it just might be fun. Isn’t that what it’s all about? Stay tuned. I’m at it again. 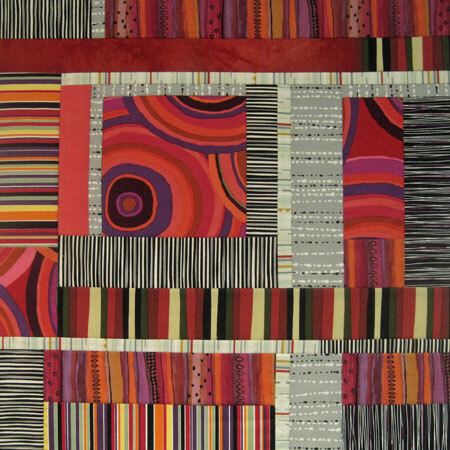 Another Quilt As You Go quilt. This one is bigger than the last. Hopefully it will be about 74″ x 74″. I want to keep it and use it on a blond mid-century bed that used to be my Mom’s. These are numbers 3 & 4 of four made. Five more to go but the rain has finally stopped and I’ve GOT to get out into the garden. Yes, I can sleep under it. The room will be dark and my eyes will be closed. You saw each of these block individually as each was finished. Now you see them all together as one. I’m not even going to bother cleaning up this photo ’cause Spring has sprung and there’s too much to be done. Glad this got finished before work began outside. 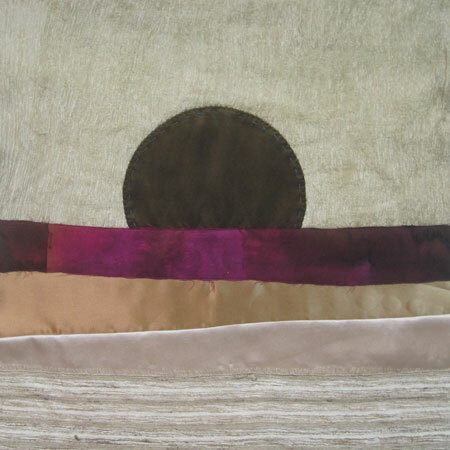 I should mention that this was made of all scraps, a little cotton, a few silks, and lots of polys. 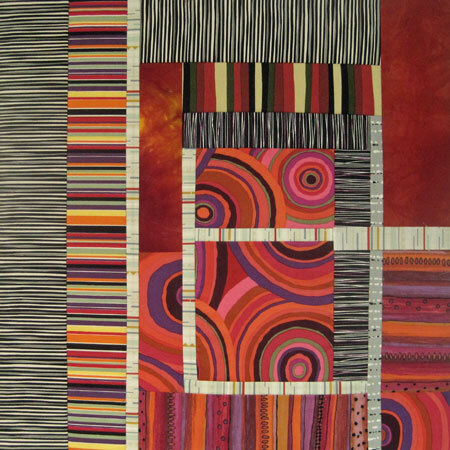 44″ x 44″. You see some of the stuff that either inspires me or is awaiting use. 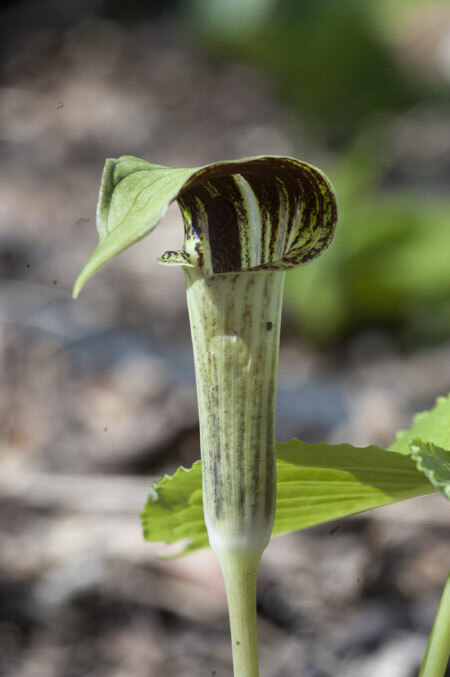 And here is what I’m proudest of: a Jack in the Pulpit that was gifted and planted last fall. Larger than life! The weather has kept me in the house for the whole week. Although being house bound makes me grumpy : ) I’ve accomplisted a fair amount of work. This week there are two brown blocks. For work that appears so simple, I seem to spend an incredible amount of time mulling and rearranging pieces. 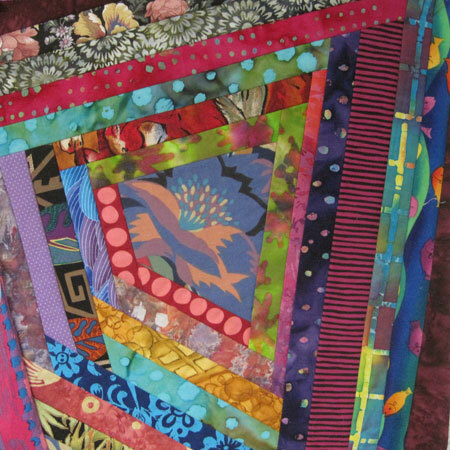 Block Five was sewn together, ripped apart, and re-sewn into another arrangement. I like how the “shiny” shows in Block Four. 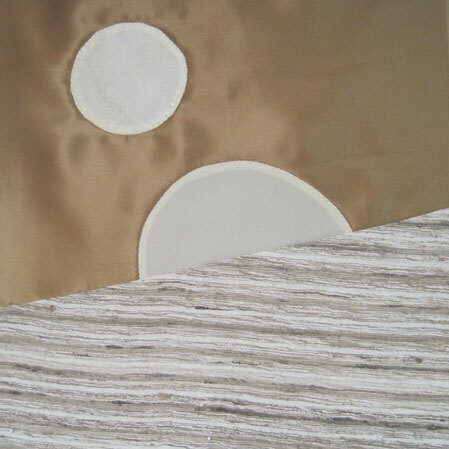 My goal is “Elegant Simplicity.” The fabrics are mostly silks and polyesters. There are two wonderful, young women in my life who are the same age and have birthdays on Oct 1 and Oct 2. Natascha, my daughter-in-law and whose favorite color is blue. 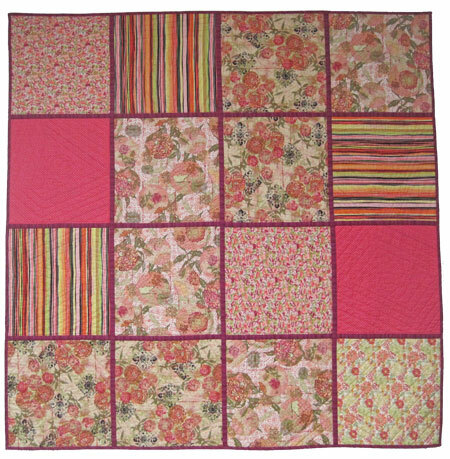 I made a Log Cabin inspired, bed size quilt for her. 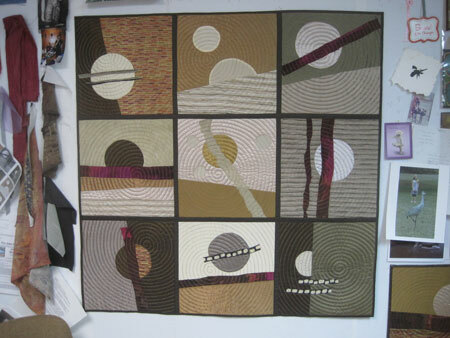 The only place where I could photograph it in total was at the recent, local quilt show and I think there was a slight current of air moving. Hence it looks out of focus. Maybe a couple of details will help. 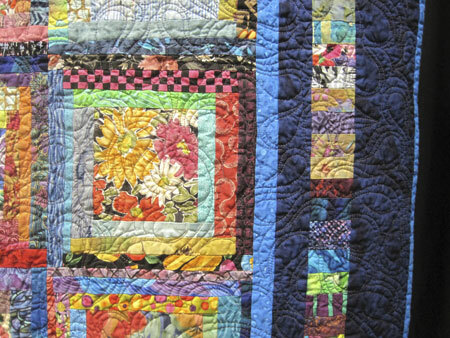 Note the beautiful quilting. I can say that ’cause I didn’t do it. It was done by Ellen Replogle on her long arm machine. 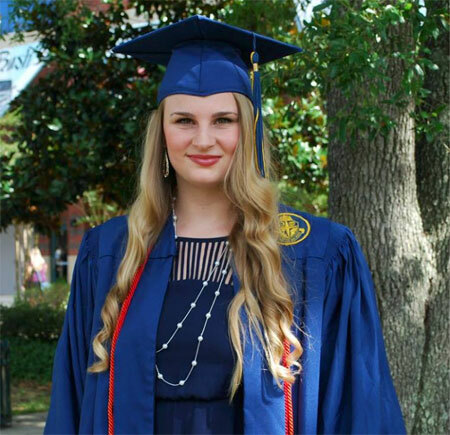 She’s another wonderful, young woman in the family – Harry’s niece. 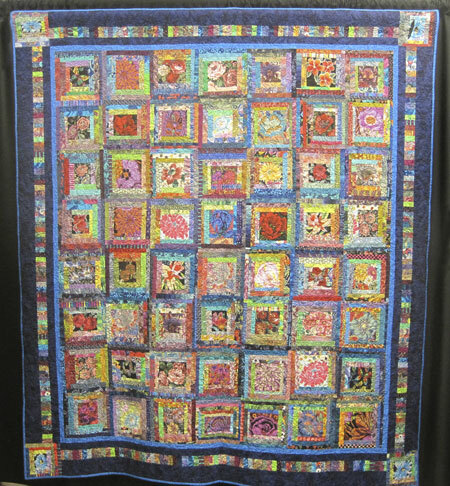 The other quilt was for Susan, Harry’s daughter. 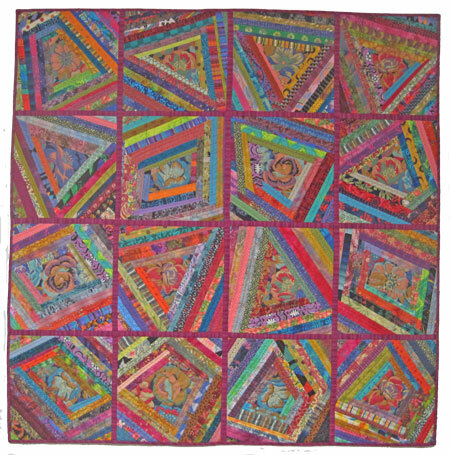 She preferred a smaller quilt, 60″ x 60″, that she can use as an accent in the living room. Well, it’s an accent alright. I hope it doesn’t take over. This is a QAYG. 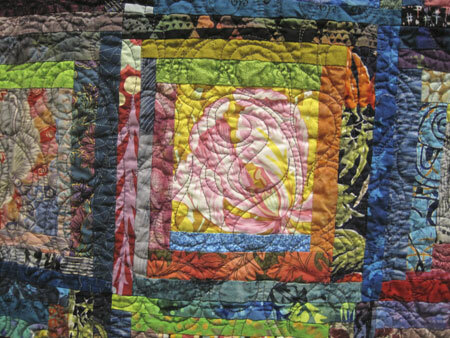 Quilt As You Go. Refer to The Quilting Edge. Marianne gives excellent tutorials on her blog. You’ll find them by scrolling down the right hand side. Thank you, Marianne. I’m trying to make one QAYG block a day. Need 42 and have 33. However, one is my favorite so I think I’ll keep it out and make 43. What will I do with one block? Pet it.